Every night and by every night, I mean EVERY single night I spend my time fighting the dinner time melt downs. You slave over a delicious dinner that is for sure going to be the next family favorite. And then, one little one decides to announce that they no longer eat anything that is green, or that the potatoes are too potato-y or one million other reasons that they will not eat that evening. In order to avoid this fun routine, I do my best to come up with a meal that has a little something for every body. Sometimes I have miss but sometimes like with this recipe, I actually get a WIN! You guys, this recipe is so delicious we will be eating it year round! 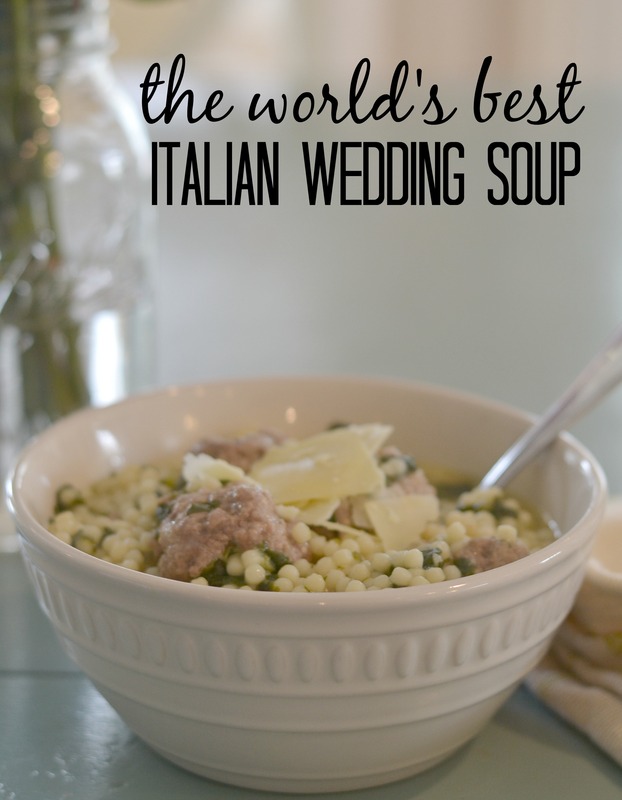 This World’s Best Italian Wedding Soup is hearty enough for my husband but just simple enough that the kiddos ate it all up and asked for more. Here is what you need to make some of this deliciousness on your own! 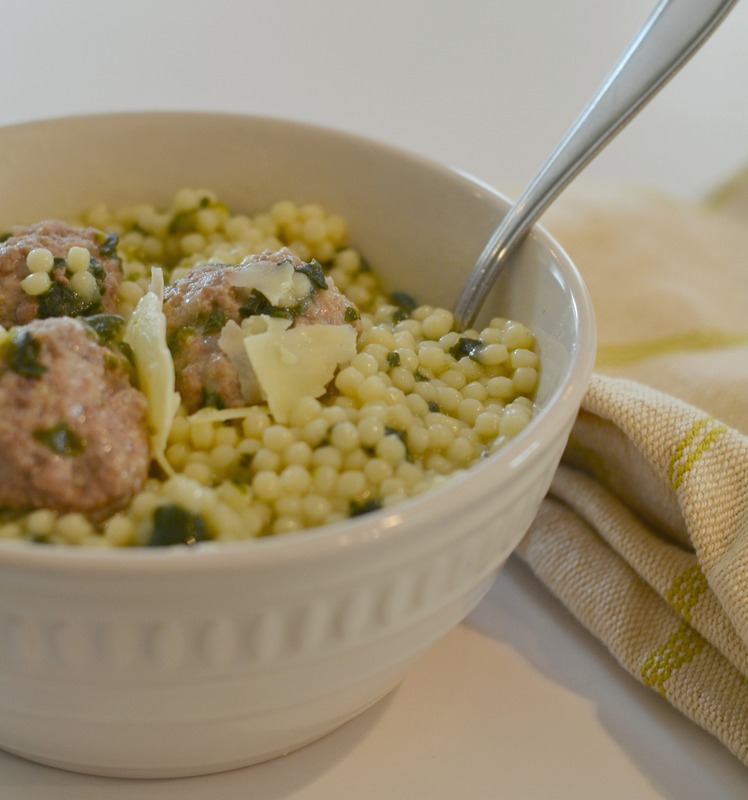 Meatballs: Stir the onion, parsley, egg, breadcrumbs, salt, garlic and chili pepper flakes in a bowl . Once mixed add the cheese, beef, and pork. Roll into meatballs and set aside. You can make the meatballs any size you would like but we prefer to make them about 2in each. Soup: In a large pot bring the chicken broth and frozen spinach to a boil . Add the uncooked meatballs and let simmer for about 10 minutes minute. Be sure to stir occasionally to make sure the meatballs don’t stick. Next, add the pasta and continue and let come to a low boil. Let cook for approximately 15-20 minutes until the pasta and meatballs are cooked thoroughly. Season with salt and pepper if needed. Sprinkle with parmesan cheese shaving before serving. Enjoy! I am telling you this recipe will be a win for your family as well! What are some of your family favorites that we need to try? We always add the white part of a hard boiled egg to the soup. It really makes it!